CAPE CANAVERAL, FL -- NASA's fireworks came early this year with a successful rocket test in Utah. On Tuesday, NASA fired a booster intended to hoist astronauts into true outer space. The ground test lasted the full two minutes, and the early word is that everything went well. NASA plans to use the mega-rocket for trips to Mars in the 2030s. This is the second and final test-firing of the booster designed for NASA's Space Launch System. The debut launch from Florida's Kennedy Space Center in 2018 won't carry people. But a few years later, astronauts will climb aboard for a flight near the moon. 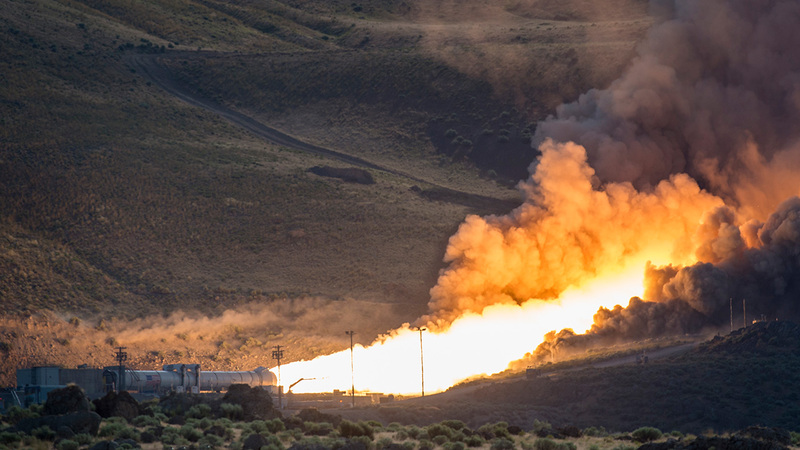 Tuesday's test was conducted by Orbital ATK, the NASA contractor that also made the smaller shuttle boosters for NASA. This 154-foot-long booster was horizontal and pointing toward a mountain near Promontory, Utah, when it spewed out flames and smoke - 3.6 million pounds of rocket thrust. Each SLS rocket will have two boosters along with four main engines. There ultimately will be 9 million pounds of thrust at liftoff, considerably more than the now-retired shuttle, noted former astronaut Charles Precourt, an Orbital ATK vice president. Precourt said the team worked nonstop over the past five weeks to prepare for Tuesday's milestone. "Really a delight," he said. Noted NASA human exploration chief William Gerstenmaier, "We should all enjoy this moment."